A lot of people talk about the ultimate winning strategy – which, to be clear from the beginning, doesn’t exist. But what most of these ‘experts’ usually don’t tell you is what actually gets you towards your goals and the money you want when trading. Some people say that the market never goes straight in one direction, meaning even if the market is going up, breaks in the uptrend occur making the market sell off for a period in time. Adding to the point, you will make money at times and lose money at times. The right psychology will help you handle your losses correctly and likewise with the profits you may gain. Trader Psychology envelopes around our mental behaviours which also drive our physical behavior and nature. Trading Psychology will define what you do when you have just lost in a trade. It will define what to do when you have just made big gains and want more. Your psychological state will ultimately determine if you close out for profit or allow a winning trade to turn sour. How do you feel about the below screenshot? Excited, scared, happy, anxious, fearless? If you fail at psychology your ‘career’ as a trader will be short and painful. Your trading strategy has minimal impact on trading, most traders are defined by their psychology. If you take a basic strategy with great psychology, you will flourish. You could have the best strategy but poor psychology and you will lose your whole account. If you can’t control what happens in the market, you need to learn to control what you have the ability to control – Yourself! Psychology is about managing yourself more than managing the trade. If you are not ok, your trade won’t be! When you have established an edge when trading, your trades will follow. Psychology is something which takes time and practice. You must repeat your psychology physically and mentally continuously until it becomes natural. As soon as it becomes natural, you keep doing it and practice it. Many traders become comfortable and then they slip. Psychology is having control of the situation. Parents who do not control their children find it hard to parent. Trading is similar: if you cannot control the situation you will find it hard and struggle. Trader Psychology is about being able to answer questions correctly. When the market says no, you need to be able to give the same answer. When the market says yes, you have to be able to say yes with it. Trader Psychology is being able to turn the charts off when your mind is not focused or solely based on money. Psychology is being able to stop trading when you need to do other things. If you’re running around the house, this isn’t the time to trade. You need to be able to focus and analyse why things are the way they are and act on it. If you’re consistently losing large amounts of your account, being able to identify that you are just jumping in recklessly, hoping to recoup previous losses is essential. You need to be able to be truthful, not deceiving yourself about your actions. Trader Psychology means creating an atmosphere and remaining there at all times while trading. This is, of course, only the beginning of psychology. We have to move on to broaden your understanding of psychology by adding some key features. How do you get psychology right? You need to be able to build an edge and this is what we’ll be discussing now. Discipline is: A system of rules of conduct or method of practice. Training to improve strength or self-control. When you want to deviate, your discipline will keep you in check. Being undisciplined is one of the most common and dangerous pitfalls, yet, it is rarely discussed amongst the trading community. A trader who lacks discipline can never make it in this business. If you go out into society and do whatever you like, you won’t last long. Trading is exactly the same. Trading is like any area of life, the same principles apply. If you can convert the right principles from life into trading, you will be just fine. Many traders are guilty of lacking discipline for many different reasons. The main culprits are what we like to call ‘System Jumpers’. These are traders that are constantly tweaking and changing their trading methods. These traders do not realize that learning to trade a system efficiently takes time. If you have a system, use it for a month or so, assess after a period of time, looking for drawbacks and benefits. Don’t just take it for one week and think the system is doomed because you had more losers than winners that week. Your subsequent analysis may show you other reasons why you lost. System jumping will cost you a large amount of money. What you are doing is going round and round in a circle, like a mouse chasing after cheese he will never reach. System Jumpers are traders who lack the discipline to stick to, and learn how to trade a system/ method. They try it for a week and when it doesn’t work they jump to the next system or method. The only system that will have you stopping after a week is the system that closes your account, but guess what? That’s the system you shouldn’t be on. Discipline develops consistency, which all traders desire to have. Discipline is a key part of your psychology. System Jumpers have only one thing lower than them in the food chain, and this is a system changer, who not only changes every week but when they get the right system they throw it away. 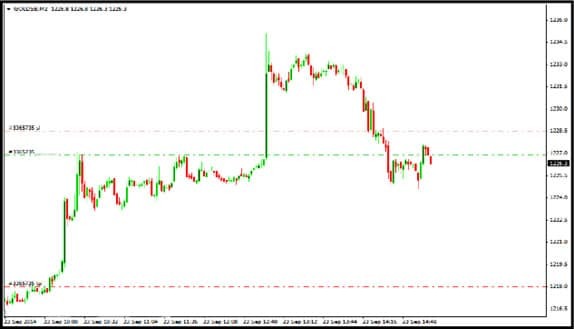 Another common action of an undisciplined trader is abandoning a perfectly good trading method. Every trading method has periods in which it performs below average. If this wasn’t so, we would be profitable 100% of the time. This is because market conditions change. You need to change also and along with that it provides different results. Don’t be scared of change – learn from it! No matter how versatile a method is, it cannot perform at peak efficiency in all market conditions. A true trader has the discipline to stick it out through the hard times. Deciding to use another strategy you have, is much different from trying to tweak a more than able strategy. You must learn to do and not to do certain things. Patience is: Good-natured tolerance of delay or incompetence. Enduring trying circumstances with even temper or characterized by such endurance. Sitting on your hands. Being calm and relaxed even if the world seems to be falling apart. Which image do you think you should imitate in trading? Trading is marathon-like not like sprinting. The only place you will be sprinting in the market is to your Forex grave. Take time to assess, take time while trading and take time in your trading career. Naturally we do not desire to be patient because we all want the quick fix. A million Dollars will not fall out of the sky into your account after one day of becoming a trader. Learn, remember and embrace this. The best traders don’t need to trade the highest stake, they are the ones who are most consistent. Consistency is what will bring you growth in your account. Making $500 one month and then giving it back the next with interest is not what you desire. Let’s look at some patience killers next. The desire to be rich manifests itself in many ways. The main ways are fear and greed and they inevitably lead to other problems. If you think about it the majority of the issues new traders have stem from the desire to be rich. 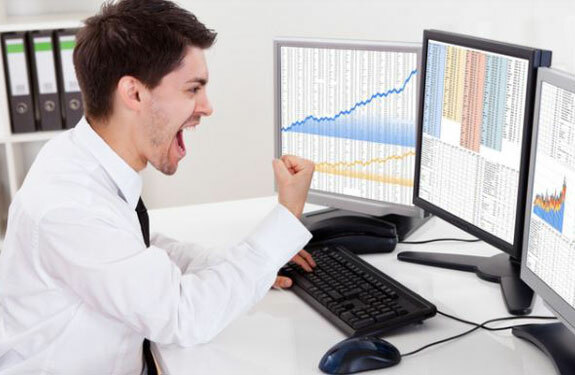 Overtrade – taking many trades thinking it will make you more money. Use poor money management – risking 50% of an account at a time to reap superficial amounts. Move stop losses – when you risk these large amounts, you don’t want to lose it so you keep adjusting stops which will make the loss even greater. Be patient and let the market show itself to you. Forex will not make you rich in the short term. It will likely take months before you’re trading well enough to leave your day job – if this is something you desire. Forex is a career and in the long run, if you’re successful, it can give you a very relaxed life. However, if you started trading this week and you plan to quit your job in one month, because you anticipate being rich enough to buy a Ferrari, you are mistaken. When you enter the markets you are a tourist not a tour guide. When you learn about all the sites you will be able to become a tour guide yourself one day. The more you practice the winning principles, the more you will become experienced, the closer you are to being rich.